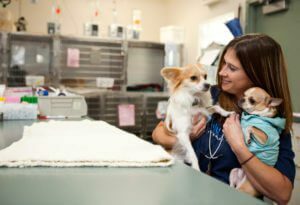 Our 24 hour vet hospital is located in Midvale and draws clients from much of Utah, including Alpine, Bountiful, Farmington, Herriman, Riverton, Salt Lake City, Sandy, South Jordan, Taylorsville, West Jordan and West Valley City. Emergency: In an emergency, call ahead and let us know you’re coming. No appointment is necessary. Learn more about your emergency visit. 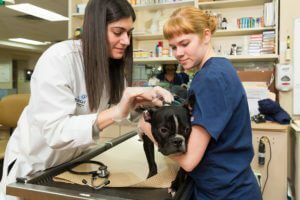 Our 24 hour pet hospital, formerly called the Utah Veterinary Center, is equipped for diagnostic techniques that include ultrasound, endoscopy and CT s canning, among others. We also have an intensive care unit and dedicated surgical suites. Our 15,000-square-foot hospital is a few blocks from an exit for Interstate 15, making it convenient to Salt Lake City and highways that link parts of the Wasatch Front.